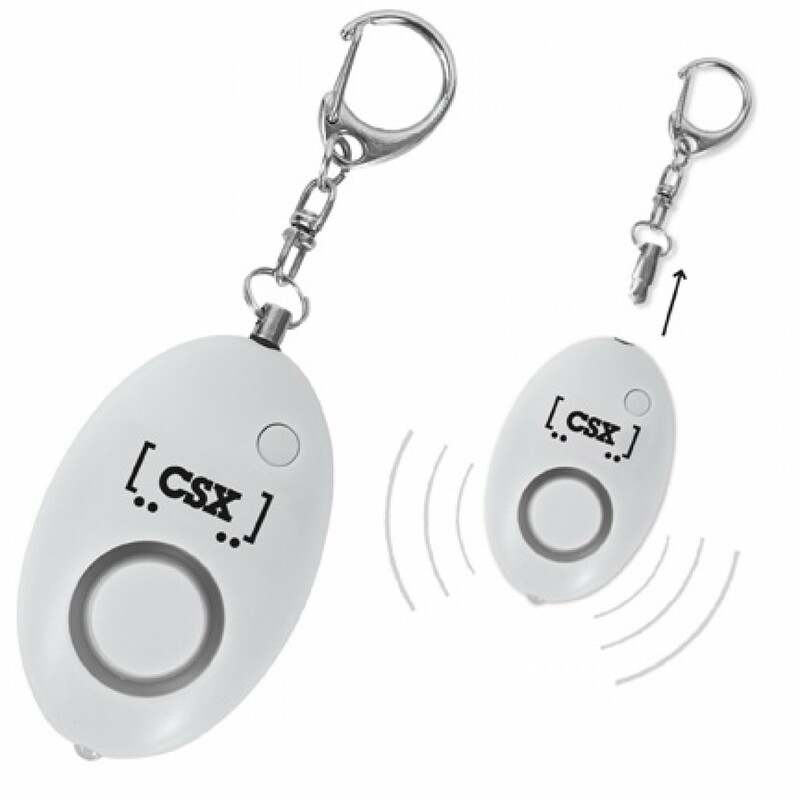 CT2564 - Great self-defense item for any age. The key chain easily attaches to backpacks, purse, or car keys. Built-in LED light to help in dark/low light areas. In case of emergency, simply pull the pin to sound the safety alarm. The alarm is 100 - 110 decibels and can be heard up to 175-225 feet away, depending on surrounding conditions. The alarm will stop once the pin is replaced or the battery dies. Three LR44 replaceable batteries and instructions included. White with a black CSX logo.